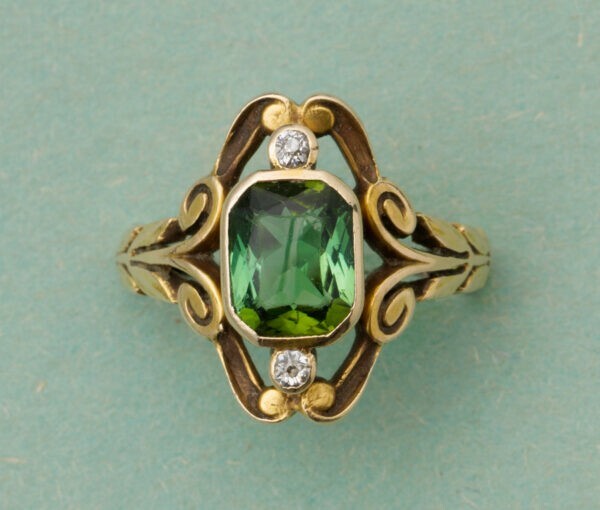 A 14-carat yellow gold ring with an emerald-cut tourmaline mounted in the length, with at the top and bottom a small diamond (each app. 0.03 carat) in a bezel setting. 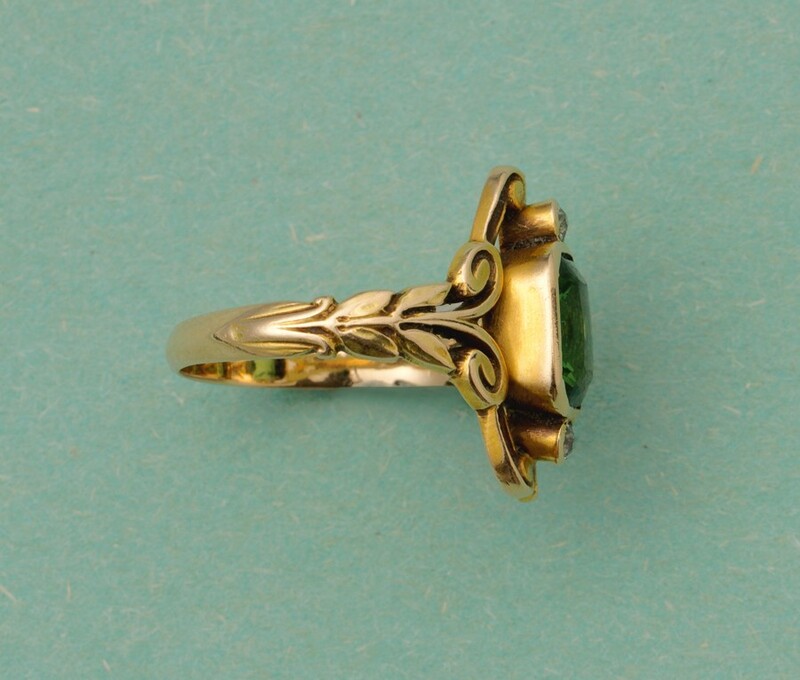 Around them is a gold scroll decoration; a curling motif extends to and over the band with a foliage motif as the shank, master’s mark: Thomas S. Brogan, New York, 1896-1930. USA, circa 1910.